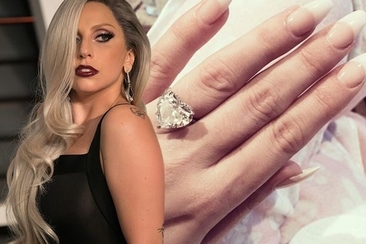 There are a number of places you can draw inspiration from when it comes to finding the perfect engagement ring and of course celebrity engagement rings are some of the first ones we check out. While the size of the diamonds and the high-end jewelry designers may be far out of most of our price ranges, it is still exciting to see who is showing off their latest bling. Celebrities often bring our attention to some truly stunning engagement ring ideas and one ring that was simple yet classic was the Lauren Conrad engagement ring. 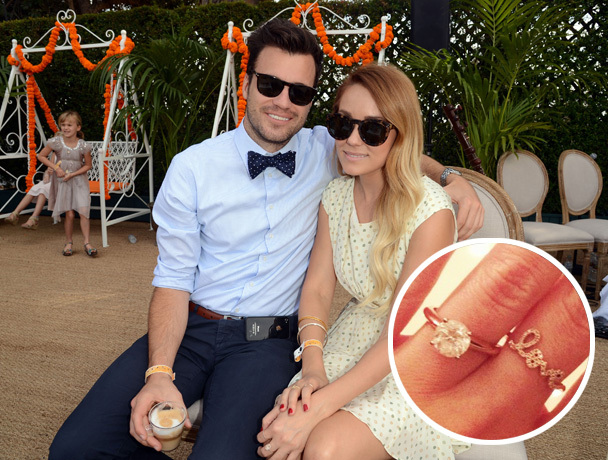 In 2013 William Tell popped the question to fashion designer and best-selling author Lauren Conrad. She was completely surprised by the proposal but was head over heels for the ring. Tell made a daring decision to choose the ring himself without any assistance from Conrad or her friends, but it is one decision he clearly got right. Her stunning 2 carat round cut diamond is a timeless engagement ring that truly represents her elegance and style. The yellow gold band offers an even more refined look that definitely steers away from the more traditional platinum and white gold that most celebrities are sporting. It is no surprise that such a fashion forward and even trend-setting individual like Lauren Conrad would be completely taken aback by such a perfect ring. It is a truly classic piece that will never go out of style. 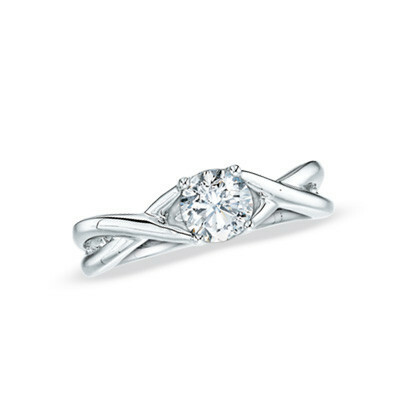 The solitaire stone displayed in the four prong setting allows the diamond to really catch every glimmer of light. While Lauren’s ring cost well over $30,000, you can easily find an equally beautiful solitaire engagement ring with the same amount of glimmer but with a lot less of the price tag. You don’t have to find something exactly the same to still be left with a truly unique and one of a kind engagement that is the perfect fit for you and your own style. Below we just compiled a few for your consideration. This stunning round cut white diamond solitaire engagement offers a unique 14K two-toned gold band. Similar to the Lauren Conrad engagement ring, this ring is an ideal option for those who want something classic yet different. The diamond is displayed in a six prong setting and is sure to draw some attention. This nearly flawless 2 carat oval cut diamond solitaire engagement ring is a stunning option. The stone is nearly colorless which means it will catch and reflect even the tiniest bit of light. 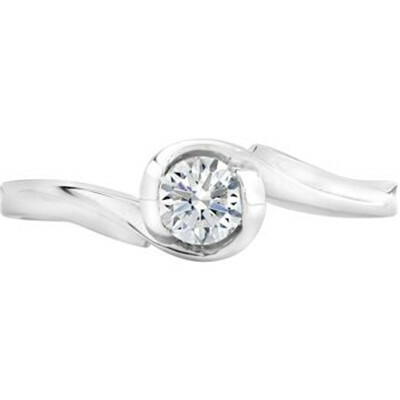 The band is of platinum and the setting is a traditional six-prong setting. This engagement ring is a dazzling display that gives the illusion of a single stone, but it is actually a cluster of ten round cut diamonds. 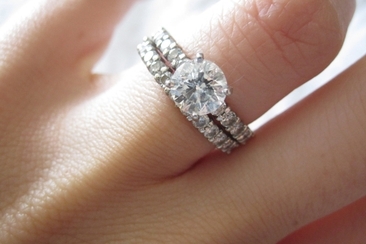 The band is 10K white gold and the stones are nestled into unique four prong, tiered setting. 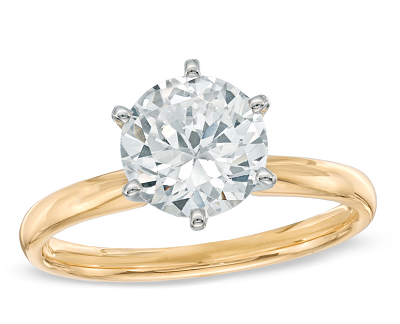 There is something simply mesmerizing about this solitaire engagement ring. The diamond is just under 2 carats and its near-colorless characteristic offers a remarkable stone. 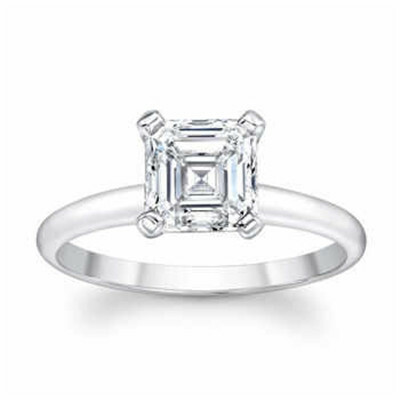 The cut gives a modern twist on the traditional emerald cut with its square shape instead of common rectangular shape. It is displayed in a four prong setting on a 950 platinum band. 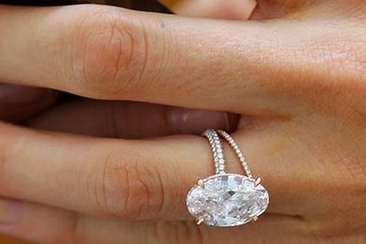 The size of this diamond is close to the same size as the Lauren Conrad engagement ring at a little over 1.5 carats. 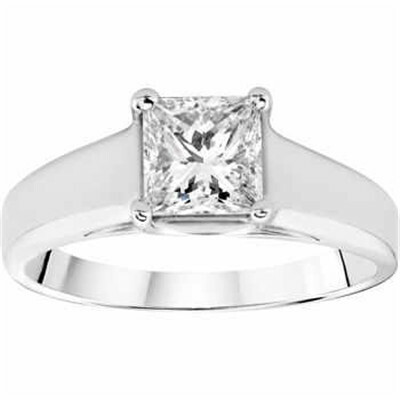 This solitaire engagement ring, however, features a colorless princess cut diamond with a four prong setting with a 950 platinum band. While this ring features a much smaller diamond at just under half a carat, the unique and beautiful setting is what really elevates this ring. The round cut nearly colorless diamond is set on a 14 K white gold band that appears to simply hug the diamond in place. If you want an engagement that is going to give you a little extra sparkle, this quarter karat round cut diamond ring will surely deliver. The main diamond is displayed in a four prong bezel setting, which houses an additional set of round cut diamonds on the 14K white gold band. The 950 platinum band gives this ring a much larger appearance than it really is, which can be a great fit if you are looking for a stunning ring that will bring in a lot of attention. 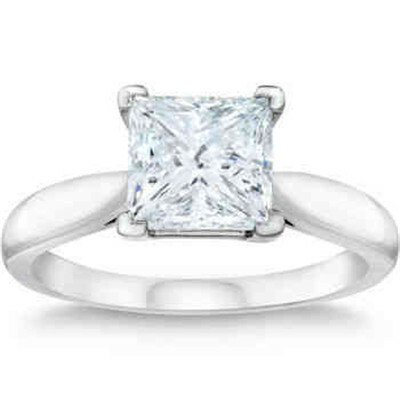 This solitaire ring features a 1 carat nearly colorless princess cut diamond in a four prong setting. 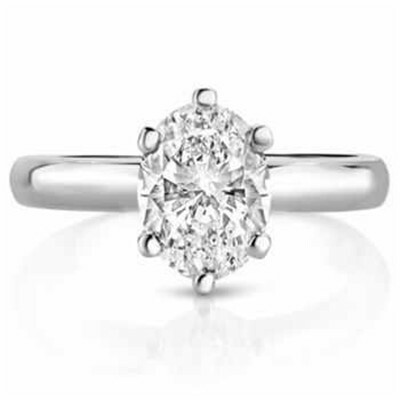 If you are going for a much smaller diamond, then you can still make the ring stand out with a few simple details. 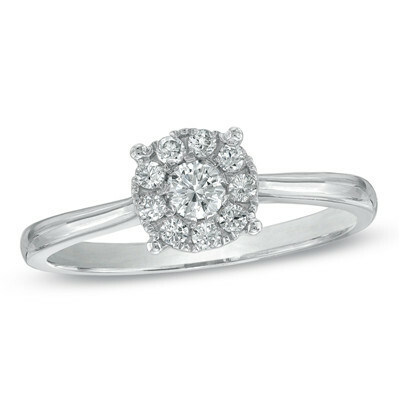 This 1/3 carat solitaire round diamond sits on a vintage-inspired 14K white gold band. The intricate details of the band really give this ring its eye-catching features. The Lauren Conrad engagement ring really stands out because it does not just follow along with the latest celebrity engagement ring trend: It is simply unique and this stunning solitaire ring is alsol exactly that as well. 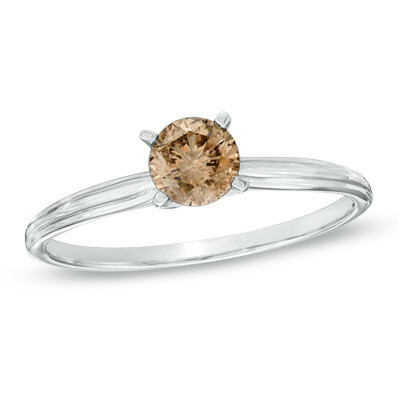 The half carat champagne colored round cut diamond is a sophisticated and one of a kind solitaire engagement ring. 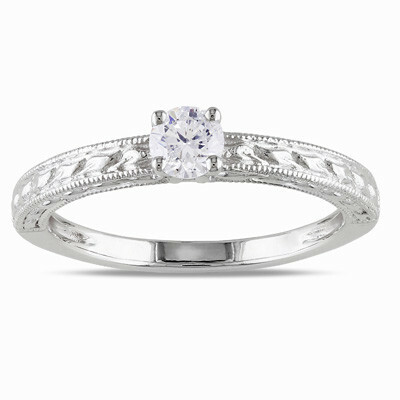 It sits in a traditional four prong setting on a 14K white gold band. 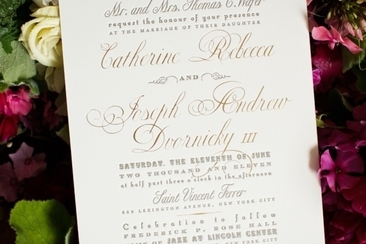 Thinking about ideas about wedding invitation wording? Invitation, maps, envelope…Here are 12 things you need to consider. 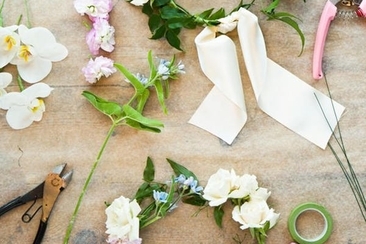 Use it as a guideline and give guests a good first impression.